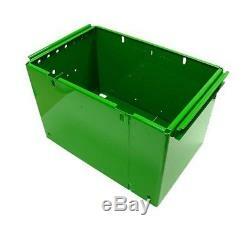 One New Aftermarket Replacement Battery Box that fits John Deere Tractor Models 520, 530, 620, 630. Only the 48 contiguous States in the U. 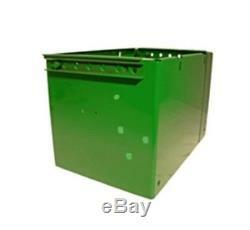 The item "AA6731R Fits John Deere Tractor Battery Box 520 530 620 630" is in sale since Tuesday, December 2, 2014. This item is in the category "Business & Industrial\Heavy Equipment, Parts & Attachments\Heavy Equipment Parts & Accessories\Tractor Parts". The seller is "stevenslake" and is located in Williamston, Michigan.